Welcome to The Greater Wilshire Neighborhood Council website. Your interest shows a commitment to your neighborhood and your city. All meetings are open to the public and their times and locations are published on this page under Meeting Schedules. 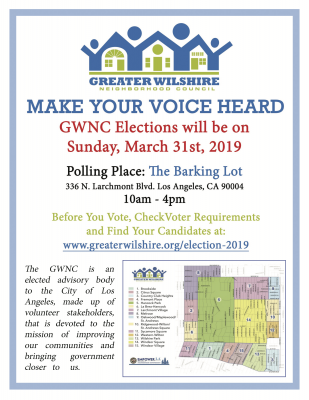 If you have an item you would like placed on a meeting agenda, please contact info@greaterwilshire.org or (424) 901-1409, at least two weeks before the meeting. Meeting agendas are posted on this site and around the Greater Wilshire community at least 72 business hours before our meetings. Have a voice in your local government. Visit our 2016 Election page for complete information on voter qualifications and document requirements. View a list of all certified candidates for the 15 Geographic Area and 6 Special Interest Representatives. All meetings are open to the public and their times and locations are published on this page under Meeting Schedules. 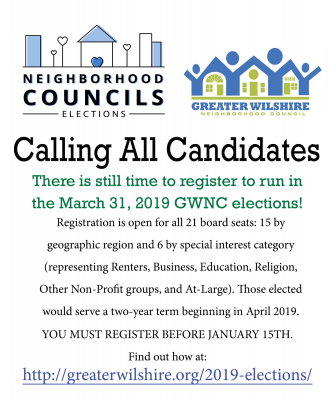 If you have an item you would like placed on a meeting agenda, please contact info@greaterwilshire.org or (323) 539-GWNC (4962), at least two weeks before the meeting. 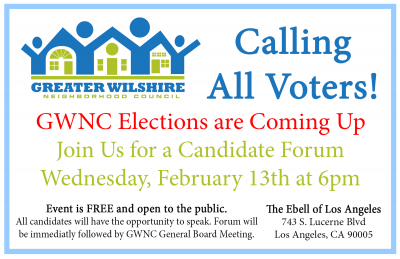 Meeting agendas are posted on this site and around the Greater Wilshire community at least 72 business hours before our meetings. Metro is gathering input from our community on a proposed plan to expedite the Crenshaw Rail Northern Extension Project in time for the Olympics. 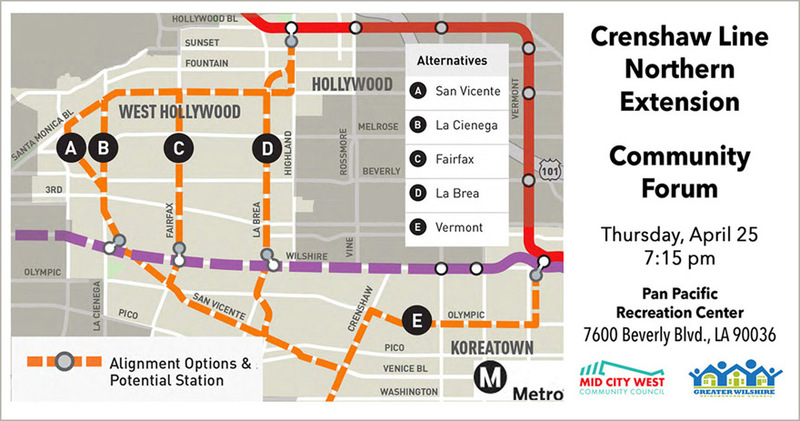 Attend this community forum to get informed on the alternative routes, station locations, and likely track configurations (underground, at-grade, or aerial). 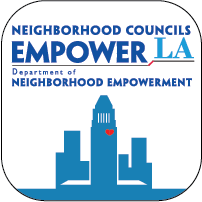 GWNC will co-sponsor this free event, hosted by the Mid City West Community Council, with presenters from Metro and the City of West Hollywood. 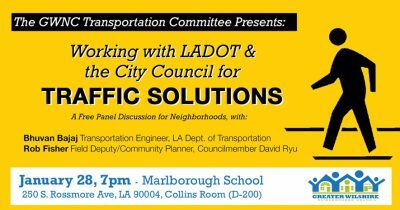 For more information, please contact transportation@greaterwilshire.org.